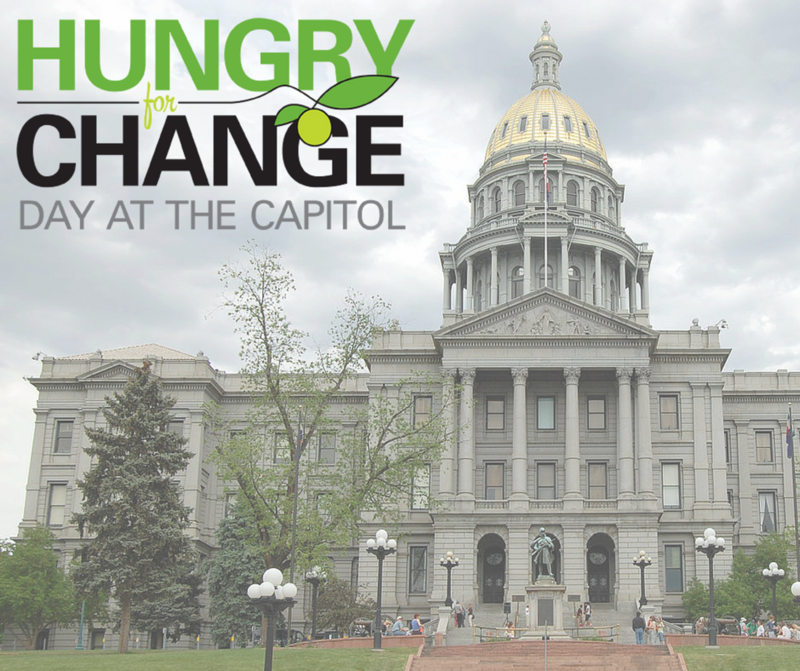 Join community members and partners for the annual "Hungry for Change Day at the Capitol 2019", hosted by Hunger Free Colorado. Your voice makes a critical difference in the decisions of our state legislature and the future of Colorado. We look forward to seeing you on Wednesday, February 20, 2019 from 8 a.m. - 11 a.m. at the Colorado State Capitol (200 E Colfax Ave, Denver). The Hunger Through My Lens exhibit will also be on display from 8 - 11 AM. Stop by to see the Colorado-based photovoice project that sheds light on the reality of hunger, including photos from Denver, Prowers County, San Luis and Roaring Fork Valleys. If you have any questions, please contact Kaitlyn McGee at Kaitlyn@HungerFreeColorado.org. Learn more about our statewide nonprofit at HungerFreeColorado.org. Hunger Free Colorado has partnered with Give Lively to securely process your online donation. This transaction will appear on your credit card statement as "Hunger Free Colorado". This transaction is subject to Give Lively's Terms and Privacy.